Megafaun released their third full length album this past week (self-titled), and the reviews are consistently positive while also reporting that the band has taken on a more serious and straightforward approach to their music. On Saturday at Mercury Lounge, the band exhibited this style as they performed three all-business numbers straight out of the gate. We’ve grown accustomed to Megafaun’s entertaining banter and stage mannerisms, but the Mercury set concentrated primarily on the music. Given that the trio (now quartet — a bass has been added to the live set) are superb musicians in their own right, this was not an unwelcome development. It was also not a coincidence that all three opening tracks appear on Megafaun. We have chosen to stream “Get Right”, which seemed to fit particularly with the new full-band sound. Megafaun’s tour continues throughout the Midwest and West coast for the next several weeks. I recorded this set with the Neumann micrphones supplemented with an excellent soundboard feed, and the quality is excellent. Enjoy! If you email nyctaper for access to this recording, we expect that you will PLEASE SUPPORT Megafaun, visit their website, and purchase their official releases including their new album Megafaun from Hometapes Records [HERE]. This Spring, we were fortunate to catch Megafaun four times in a span of less than three weeks. The final performance was their opening set for Sharon Van Etten at Music Hall in April. The set featured several new numbers, and now four months down the road the band is poised to release their new album (self-titled) on Hometapes Records on September 20, 2011. The band will also launch tours in September through Europe and the US. The local dates are a pair of nights at Mercury Lounge, on Saturday September 24 and Sunday September 25. We expect to capture at least one of the Mercury dates. I recorded this set with the Neumann microphones on a stand in the upfront of the right side of the balcony, fifteen feet from the stage. The sound quality is excellent. Enjoy! 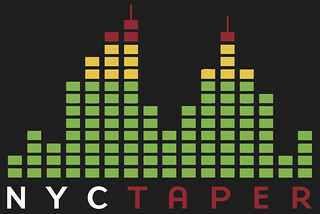 If you email nyctaper for access to this recording, we expect that you will PLEASE SUPPORT Megafaun, visit their website, and purchase their official releases from Hometapes Records [HERE].